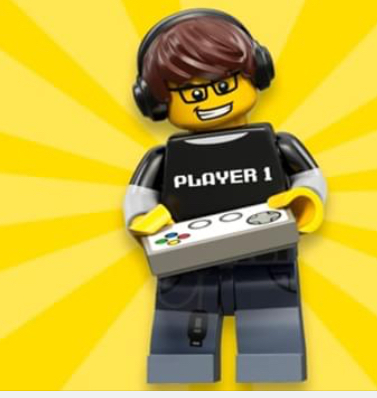 i have seen a Gamer minifig, it is a guy with a Player 1 torso, glasses, headphones and a controller. 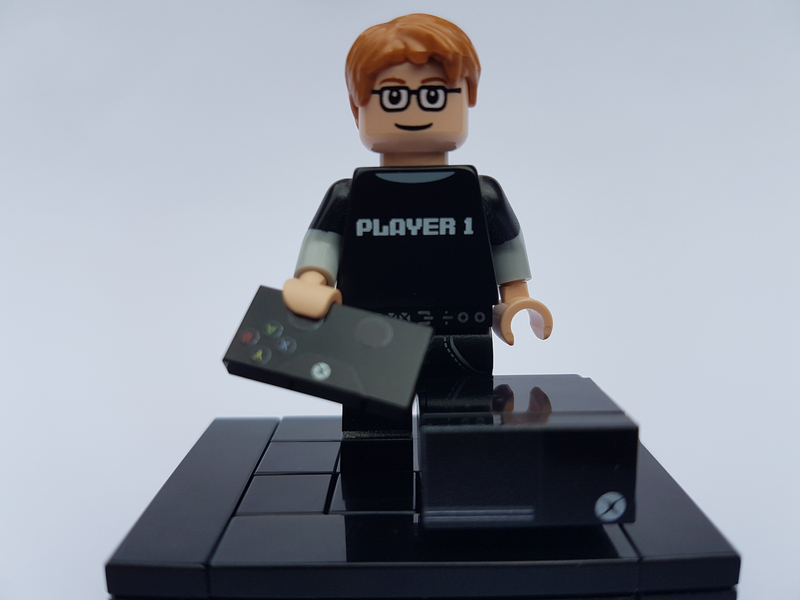 I would love to own this minifig but when I search on brickowl and bricklink they only show the Gamer Kid one from the Lego dimensions game. I did see one on eBay but it was in the USA. Any one have any ideas of where I can try to find it? I wonder if it might be USA only . He's from the collectable minifigures series 12 line from a few years ago. 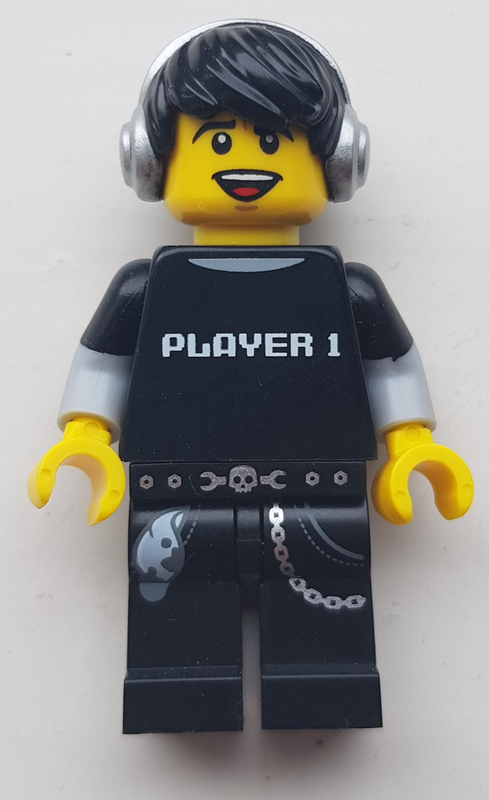 He's "Video Game Guy", from Collectible Minifigure Series 12, released in 2014. One of the first collectable minifigs I actively sought duplicates of! At the time it made a perfect torso for a custom fig for me until the beard grew out! 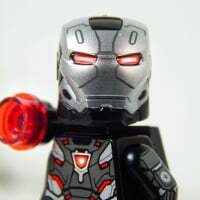 Lego need to make more bearded fleshtone heads! ^ Those custom prints are awesome! You've recently been able to get most of those parts (or similar) from the build-a-minifig bar at Lego stores. The above is one my daughter made for me. I'd be happy to help you out if the CMF is prohibitively expensive and if you're nowhere near a Lego store.